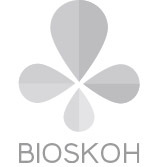 BIOSKOH is committed to being transparent and to ensuring your privacy is protected. Should we ask you to provide certain information you can be assured it will only be used in accordance with this privacy statement. BIOSKOH may share the information if we believe disclosure of the information is necessary for legal reasons. We do not sell your information to third-party marketers or advertisers. 3. referrer_site – This is a session cookie used to let other websites know that you came from bioskoh.eu when you click on an external link within our website. These cookies have no information to identify the person accessing the site and they are destroyed each time you close your browser. ISSUU and YouTube will gather their own cookies if you view an ISSUU document or a YouTube video embedded on our website.